This article covers the best 5 online YouTube playlist downloader and help you get the best way to download YouTube playlist to MP4 or MP3 music in 1 click. Many software developers have been coming up with a variety of YouTube playlist downloader online programs for YouTube users to better enjoy movies and videos. For your convenience, we here cover the best 5 YouTube playlist downloader online and the best easy-to-use desktop YouTube playlist downloader to help you get the best way to download YouTube playlist. You should never be worried as there is a perfect alternative to these YouTube playlist downloader online services. That is iTube Studio YouTube Playlist Downloader. 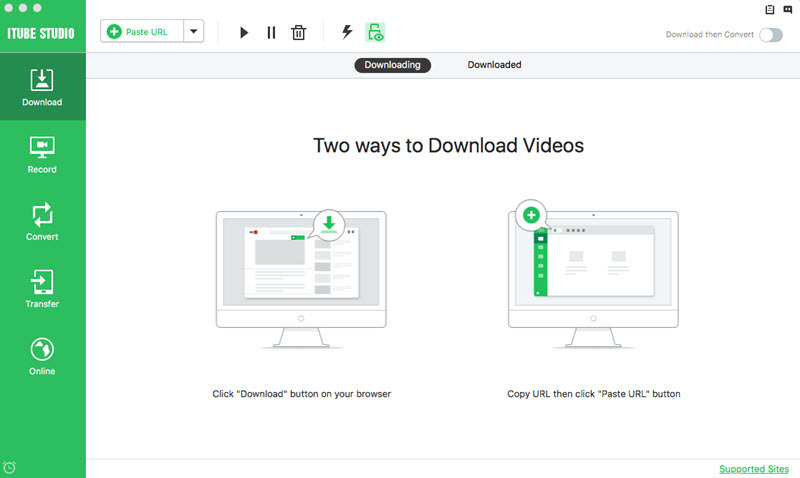 This YouTube playlist downloader for Mac and Windows supports 3X faster speed to download YouTube playlists, videos and movie downloads from over 10,000 sites and can be used to convert videos on Mac or Windows devices. 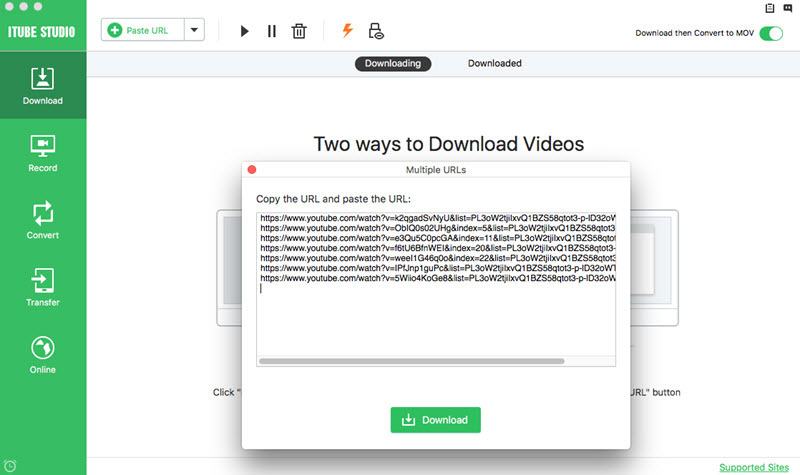 The software is programmed to detect the videos you are playing and allow you to download by enabling the Download button extension. Support batch download YouTube playlists at 3X faster speed. 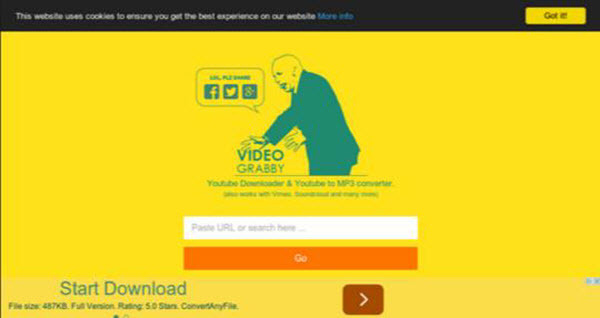 You can also convert multiple videos at once and at a fast rate. Download all the videos in a YouTube playlist or YouTube channel with download extension or URL directly in 1 click. Download videos from YouTube, Break, Youku, Dailymotion, AOL, Facebook, Vimeo, VEVO, Metacafe and other 10,000+ sites. Convert videos to MP3, WAV, MKA, M4A, MOV, SWF, MKV, 3GP, FLV, MPEG-1, MPEG-2, ASF, AVI(XviD), WMV, MP4, and more. Transfer downloaded YouTube playlist to mobile devices like iPhone, iPad, iPod, Android Phones and Tablets with USB easily. Record any online videos from any online video sites which don't support direct video downloads. Private Mode to fully protect your downloaded video information with a password known by yourself only. 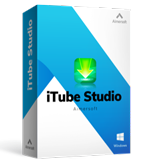 Download, install and launch iTube Studio YouTube Playlist Downloader for Mac or Windows. The installation is very simple with the help of on screen instructure. Launch Chrome, Firefox, or Safari and then go to YouTube.com. Find the YouTube playlist you want and open it. At the top-left corner of the video you are playing, a "Download" button will show up. You can click this button and select "Playlist" option. Then you will get a pop-up window. And now you can choose the videos you want to download and set the output video resolution. After that, click "Download" to start the YouTube playlist download. You can also download YouTube playlist online with just the URL. Drag your video's URL to the software's dock icon from the address bar so as to start downloading. Or copy your videos URL and then click the "Paste URL" button located in the primary window, so that the video can be captured immediately. This is a YouTube playlist downloader online free site that enables users to download YouTube playlists, Channel, VEVO Music and more at high speeds. You can select the quality of the files you would like to download before you can paste your Playlist link. The Quality offered includes Auto MP4, Auto 3GP, 720P, 360P, 240P, and 144P. Downvidz.net provides you with an excellent opportunity to download YouTube playlist online in the form of videos or MP3. It supports not only YouTube playlists, but also Facebook, Instagram and Vimeo videos. 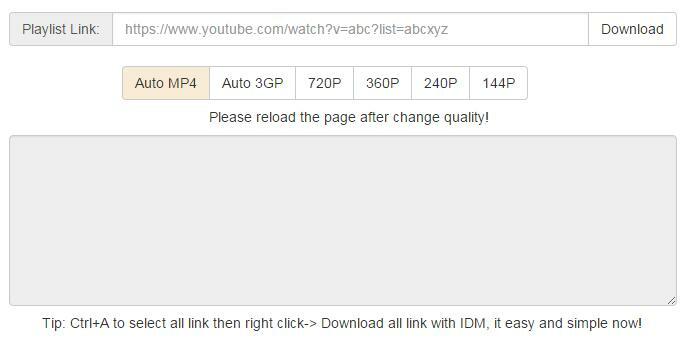 In order to download your YouTube playlist, you will have to enter your YouTube playlist URL, select the preferred format, Normal (480P) HD (720P) or Full (1080P) then click the download button. 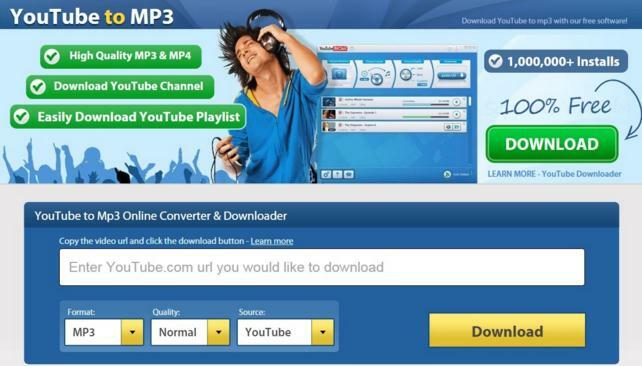 It also has an option that you can use to convert your playlist videos to MP3 audio file. YouTube Playlist Downloader is great in downloading YouTube playlist online. 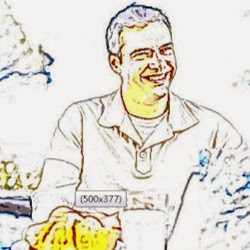 Just copy your YouTube playlist URL into the provided text box on the main website, select the preferred format, quality and source then click the download button. You will also be able to download YouTube channels and videos from Vimeo, Soundcloud, Dailymotion, Instagram, Twitter Facebook and other sites. Formats offered include MP3, MP4, FLV, 3GP, AVI, WEBM, WAV, and WMV. This is possibly the most advanced online YouTube playlist downloader as it supports other 1070 sites too. Paste the YouTube playlist video, audio or playlist URL on the provided text box, select the video quality and click the download button. You can either download single videos, one by one or download the playlist as a zip file. Its free and fast, no registration is needed. This YouTube playlist downloader online tool allows you to download playlist from YouTube online in forms of videos or MP3 playlists. It also works perfectly on Soundcloud, Vimeo, and many more sites. All you have to do is paste the playlist link, and Videograbby will do the rest. Although YouTube Playlist Downloaders online apparently seem to be more convenient, they are aften stricted to downloading speed, connection quality, video sites, etc. A YouTube playlist downloader like iTube Studio YouTube Playlist Downloader will provide you with a more natural and easy downloading experience ad-free. Just try some YouTube Playlist downloaders and then choose your favorite one! How to Share YouTube Playlist to Facebook, iPhone, Android, etc.